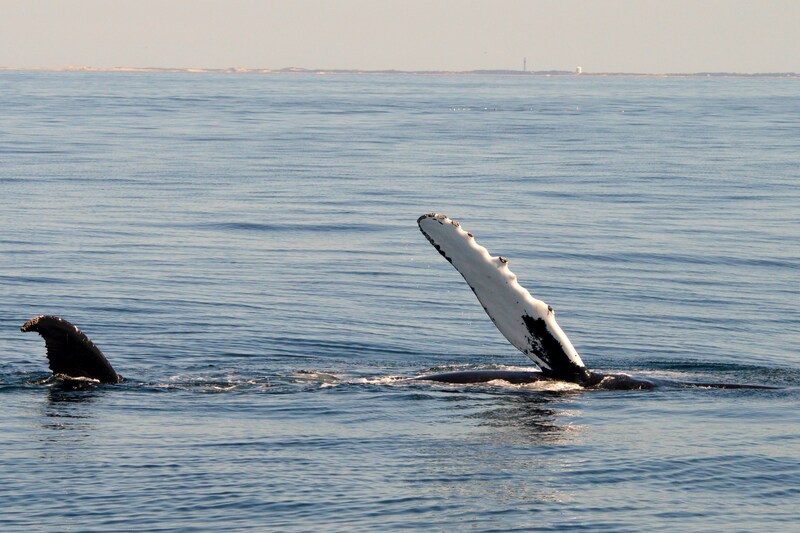 Whale watching is always fun- some days it leaves us just in awe. Our trip began with a quick look at a fin whale. These animals are so large, and so fast, that even seeing it from a distance gave us an appreciation for how awesome they are. It was traveling quickly, and we could see other whales in the area, so we continued on. 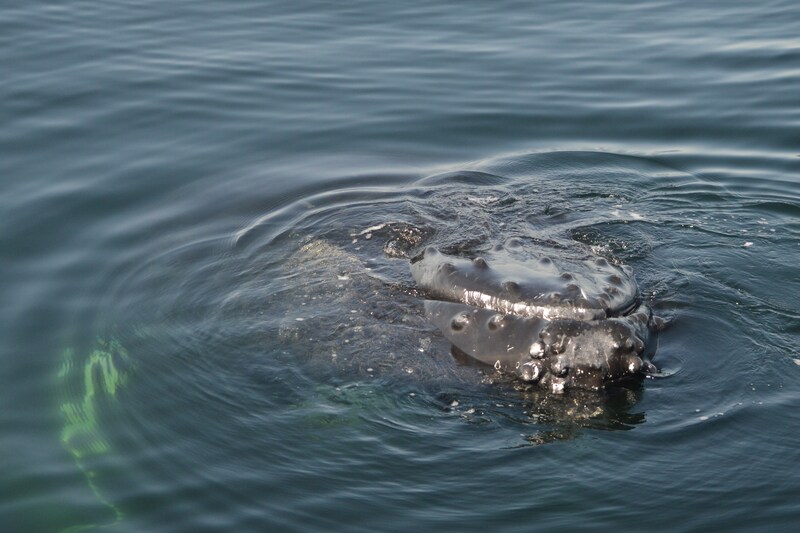 Soon we spotted some splashing, and could see the pectoral fin of a humpback whale standing straight out of the water. This whale (Springboard) continued slapping its fin on the water for about 20 minutes, sometimes rolling on its side and sometimes rolling upside down. We noticed a few other whales in the area, including a pair that looked like one large and one small whale- we decided to check them out, and wow!! 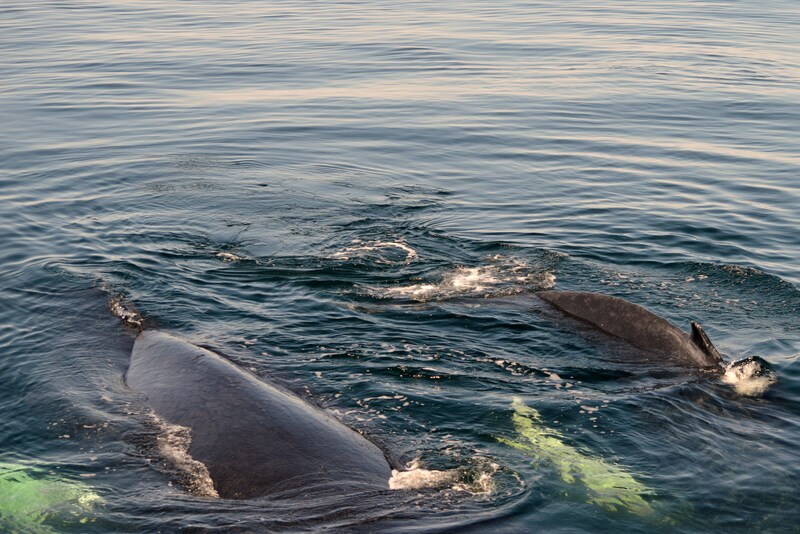 We had a quick look at this mom and calf pair before they dove deep. 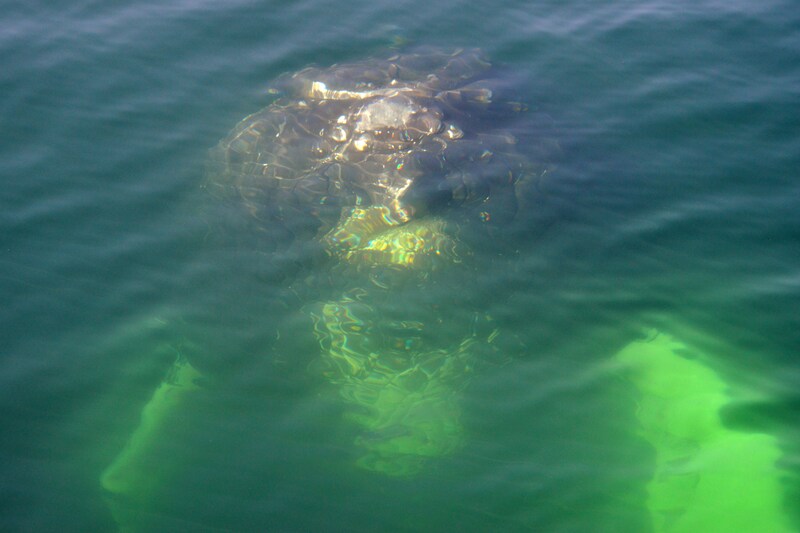 We were wondering where they would resurface when suddenly both whales appeared right next to the boat! 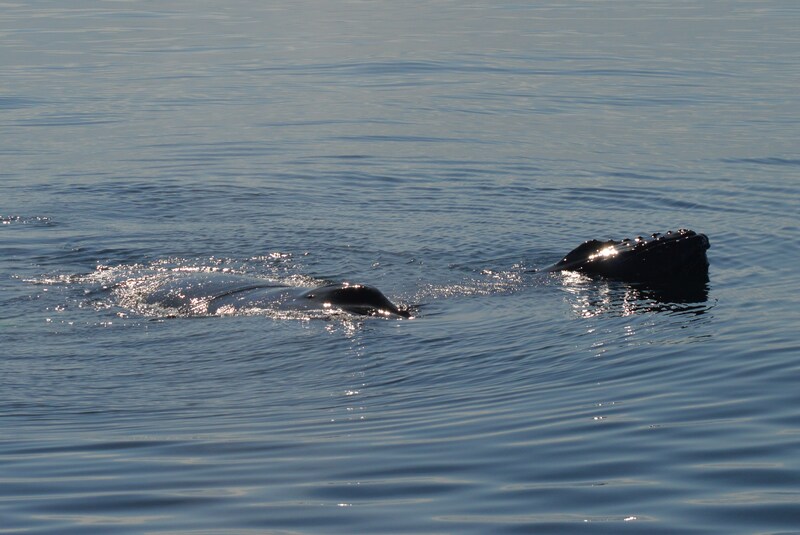 The calf (about 3-5 months old) lifts its head out of the water with mom close by. Mom and calf checking out the Hurricane II! They then turned to look toward us and very quickly I realized this was going to be a special trip. It’s always amazing when the whales are that close to us, but the pair stayed engaged with our boat for almost a half hour. I have heard a number of instances of a calf seeming more interested in a boat while mom is nearby or is doing some feeding, however this trip was the opposite- Mom stayed engaged with us while the calf cruised around close by. 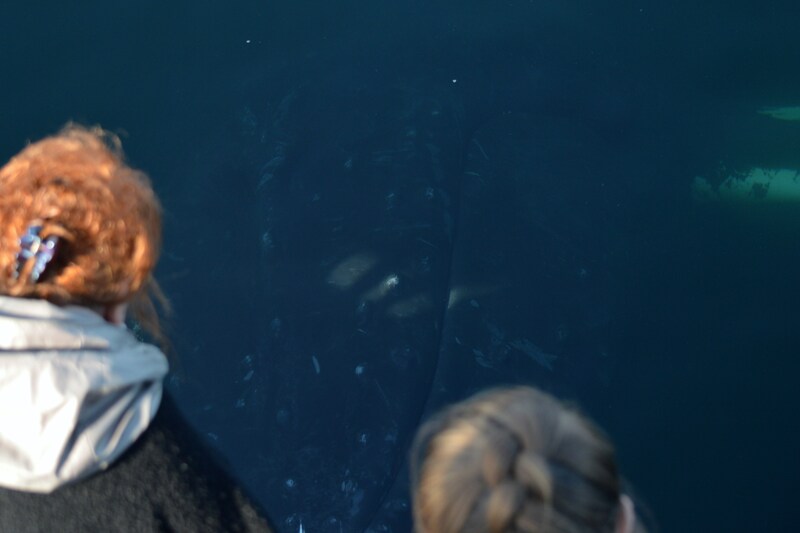 It’s a tough problem to have, with the whales so close that they don’t fit in the camera frame! Just a few feet away from a 30 ton animal! You can see the white on the mother’s belly, and the white pectoral fins on either side of her. 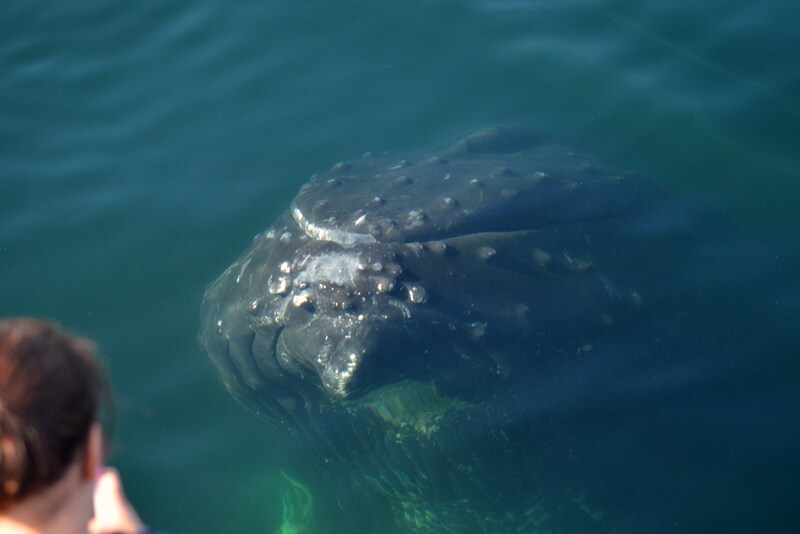 We were lucky enough to have a couple of spy hops- a behavior known to be the whales intentionally taking a look at a boat! The only (tiny!) negative part was that we never saw a clear look at the underside, or ventral side, of the mother’s fluke, so identifying her has been a little bit difficult. We are working on it though, so check back to see if we are able to confirm our guesses!